Normally the words “Norway” and “budget” don’t play very well together. Norway is well known to be on the the most expensive countries in the world. With a little leg work, we found some of the best things to do in Alesund Norway in one day on our cruise this summer without spending a dime! Alesund is one of the best places to visit in Norway. It definitely didn’t disappoint. 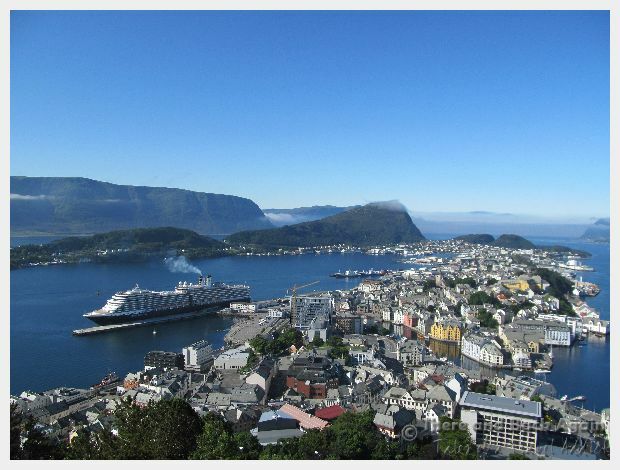 Are you going to be coming from the Alesund cruise port and you are looking for Alesund excursions? Or are you just passing through on a trip through Norway and you are looking for an idea of what to do in Alesund Norway in one day? Here are our top suggestions! We were very excited to take our first steps on Norwegeian soil. The ship glided gracefully up to the Alesund cruise port at 10:00am this morning. 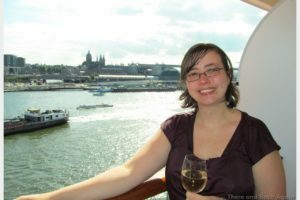 Now that we were on a longer cruise than we had originally planned for, we were budgeting our money for doing things on shore very carefully. 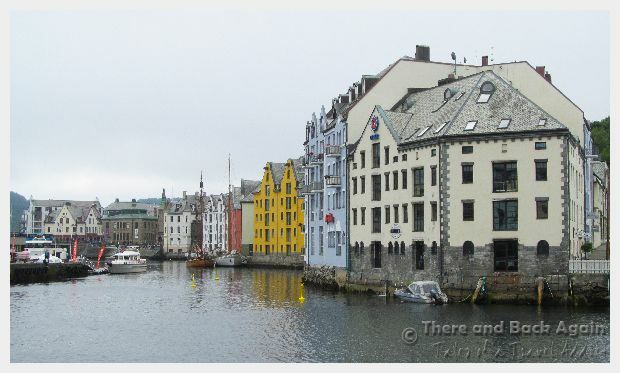 We decided to see what to do in Alesund Norway in one day without paying to go on an expensive cruise ship tour. We started out at a slight disadvantage as we were visiting on a Sunday. Shops and restaurants were closed and public transportation options were minimal. Still, with a little legwork, we found plenty of options for what to do in Alesund Norway in one day without spending any money. Your first stop should be at the tourist information office in Alesund. They can get you some maps and if you ask specifically for places that you can hike or take public transport to, they will be happy to help. Welcome to Alesund Norway! You are going to have a great day! From what I have seen of the weather so far in Norway, it often seems to be sunny and nice during the morning hours and the clouds increase as the day wears into afternoon. Start your day with a trip up to the top of Mount Aksla and the Fjellstua (the Alesund viewpoint) for a postcard worthy view of the town and the surrounding Fjords. 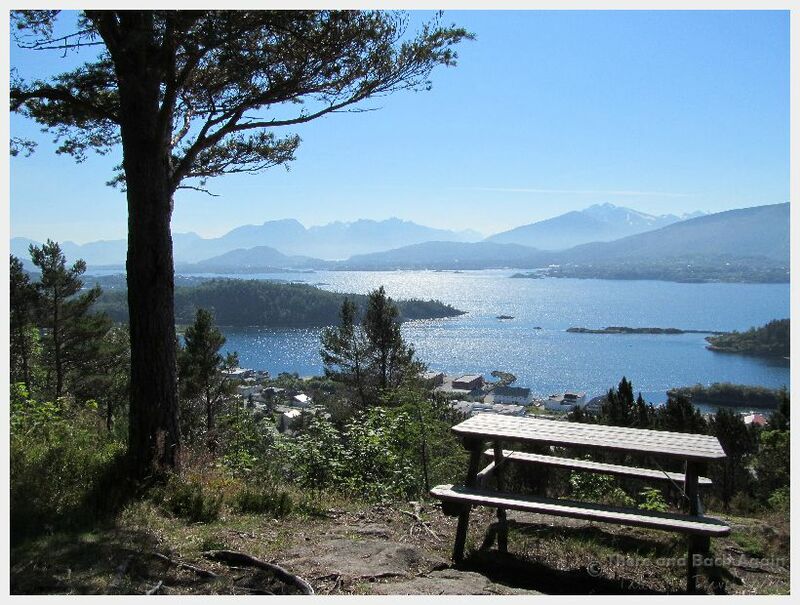 Hiking up to the viewpoint is one of the best things to do in Alesund Norway, and it’s free! The view from the top is absolutely unparalleled. Well worth the modest effort. 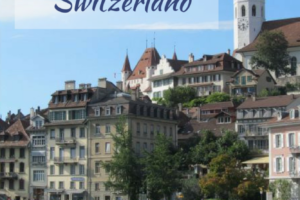 You can either walk up the 418 steps or take the tourist train up there (the train also includes a 1 hour sight seeing tour of the town center). 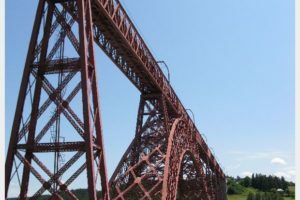 As of August, 2012 the cost for the train is 150 KR for adults, 70 KR for children or 400 KR for a family of up to 3. Once you have taken your photos, you can either head back down into town or continue along the top of the ridge, following the trails marked on the maps at the overlook. The views from the south side of the ridge were definitely more captivating than those on the north side, so there is really no need to make the whole loop unless you want to (we walked the whole loop and estimated the entire thing to be about 5 miles). If you don’t want to walk very far or are traveling with kids, you could easily walk a little ways down the south side of the ridge to see the view at the spot below with the picnic table and walk back! We hiked around a little from the top of the viewpoint. There are hiking trails all around the ridge with views like this. 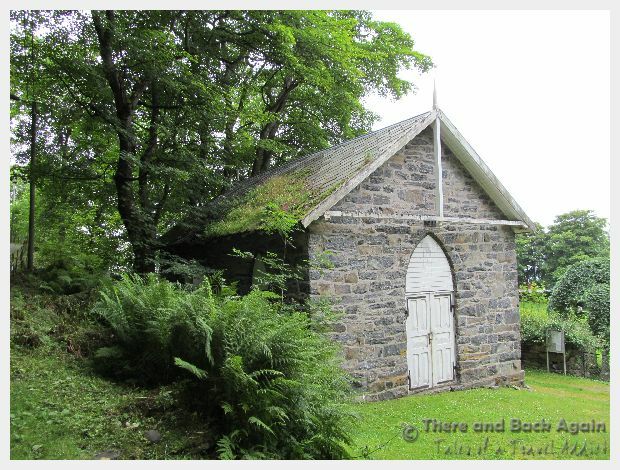 A stone church seen while hiking around the ridge above Alesund. After coming back down into town and stopping back on the ship for lunch, we continued our exploration of town in the other direction. Head towards the Sukkertoppen and the Alesund Atlantic Sea Park for some hiking trails along the coast that will give you a different viewpoint from the one that you had at the top of Mount Aska. Rugged cliffs and bountiful wildflowers abound along the path that starts from the Atlantic Sea Park and continues around the point. 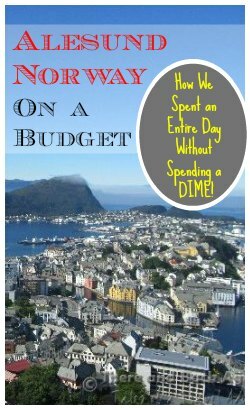 Between the morning hike in Alesund Norway and the afternoon one, our day was full, and we didn’t spend a penny! 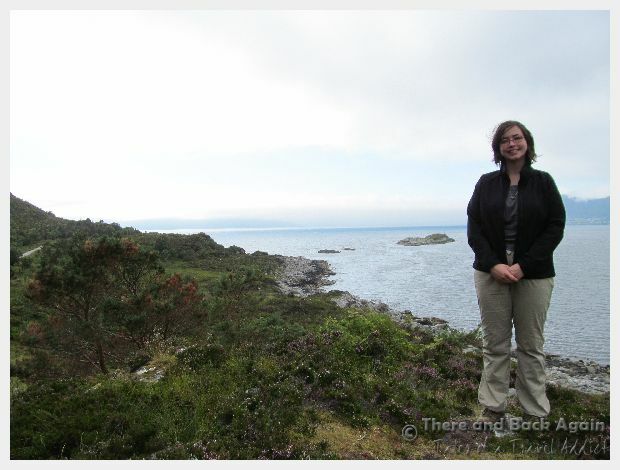 This was truly one of the best things to do in Alesund Norway! The views were amazing, and we had it virtually all to ourselves! Walking around the waterfront and old town and waterfront is one of the best things to do in Alesund. Take a local bus to the islands of Giske and Godoy: We learned that these islands are connected to Alesund via a long, undersea tunnel, so the journey itself might be worthwhile. Visiting the islands will give you a idea about what life is like in a small fishing village in Norway. 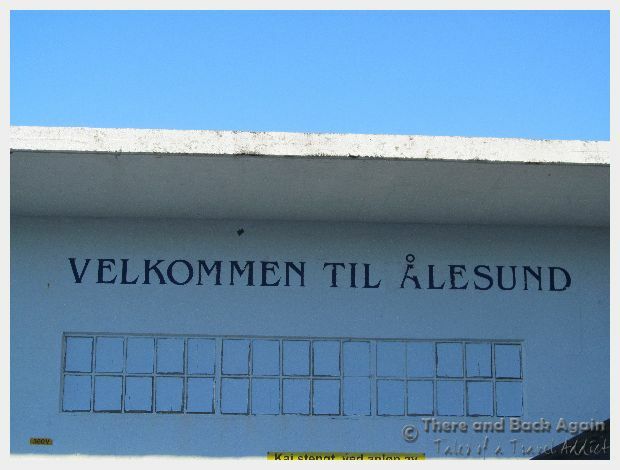 The Alesund Tourist Information Office will happily give you directions about which bus to take and where to catch it. Hike to the top of Sukkertoppen ålesund: This viewpoint is closer to the Alesund Atlantic Sea Park, so they could be combined as an alternative to hiking up to Fjellstua and along the ridge that I talked about above. The lady at the Alesund tourist information office said that the view from up here was fantastic, and it is a little further off the beaten path and is not a place that most of the folks from the cruise ship will be. A visit to the Alesund Aquarium/ Alesund Atlantic Sea Park (and a hike along the trails nearby): This is definitely a cheaper option for a family than taking a tour. For 200 NOK/person you can take a shuttle bus directly to and from the cruise terminal and get admission to the Alesund Aquarium. Sunmore Museum: “Open air museum with cultural history exhibits and a collection of old buildings and boats.” You could walk here from the cruise terminal, but because of the distance, unless you are a hardy soul, you might want to consider a taxi (ask at the Alesund Tourist Information office…it is possible that there might be a bus that goes there, as well). Aalesund Vandrerhjem / Alesund Hostel: This hostel hits the budget sweet spot in Alesund Norway, offering simple, clean accommodations and excellent service. 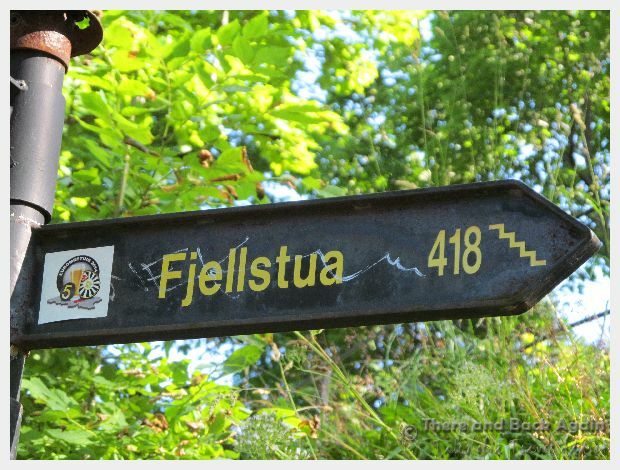 The offer a shared kitchen and free breakfast and the location is excellent – right near the trail up to Fjellstua. Radisson Blue Hotel Alesund: This hotel is a solid bet right on the waterfront in Alesund with amazing sea views. Radisson Blu hotels are pretty high end – this is a great rate for one! A reliable, luxury choice at a budget price in the heart of Alesund. Do you need a good guide to plan your Norway vacation? This is a great post on an important topic-the money. I also suggest using Couchsurfing to meet the locals. They will be happy to show you around, I’ve tried it myself. I haven’t tried coushsurfing yet, but I have heard from many people who have had very positive experiences with it! Great shots…hope to make it to Norway in 2013! You are quite welcome. It was a very beautiful city. There are usually a lot of free/cheap things to do even in the most expensive cities in the world, you just have to look a little deeper than the normal tourist offerings.